The Moon moves into Cancer today, and stays there until Friday. Neptune moves into Pisces tonight and stays there until 2026. That’s right 2026, this is a slow moving planet. 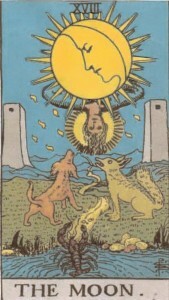 Looking at this transit from a tarot perspective, it’s like the Hanged Man is dressed as the Moon. He’s dangling in the dark. The Hanged Man is about patience, sacrifice and new perspectives. Nothing needs to be rushed and there’s nowhere to go. He wants you to see things differently than you’re used to. And to do so you have to take some time out from the bustling turmoil. 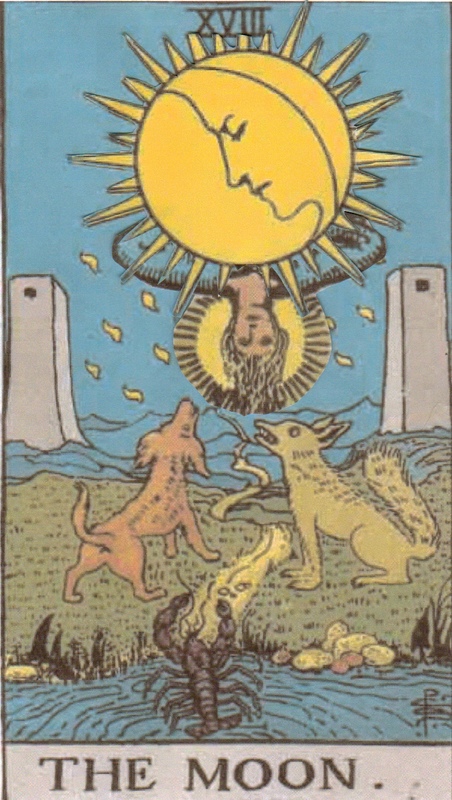 The Hanged Man chooses to be where he is. Turning things upside down might be uncomfortable at times, but without some inversion, there’s ultimately no balance. The Moon is darkness, mystery and the secrets of the night. It’s daytime in reverse, a time when shadows reign. Instincts become more valuable than rules, and dreams more real than consciousness. The Moon reflects the light, like a mirror or the ocean. It distorts and reconfigures what’s familiar. Sometimes in ways that make us afraid. The Hanged Man doesn’t mind being here. He’s intrigued by the shadows, amused by how they transform what he sees. Neptune in Pisces, or the Hanged Man in the Moon’s clothing, is a good time for spiritual exploration. It’s easier to be open when all boundaries have melted. 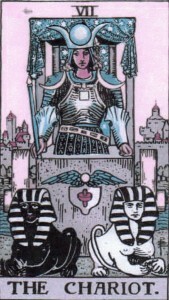 During this period it’s useful to pay attention to recurring thoughts, symbols and dreams. If an idea keeps presenting itself, take a closer look. And don’t be afraid to turn your ideas around, facing them from a different angle. Emotional and intellectual flexibility can be rewarding. Be still, watch and listen. We’ve got a long time with this one. With patience, enlightenment can shine bright in the dark. Neptune moves into Pisces tonight and stays there until August 5th. Be still, watch and listen. Enlightenment can shine bright in the dark. 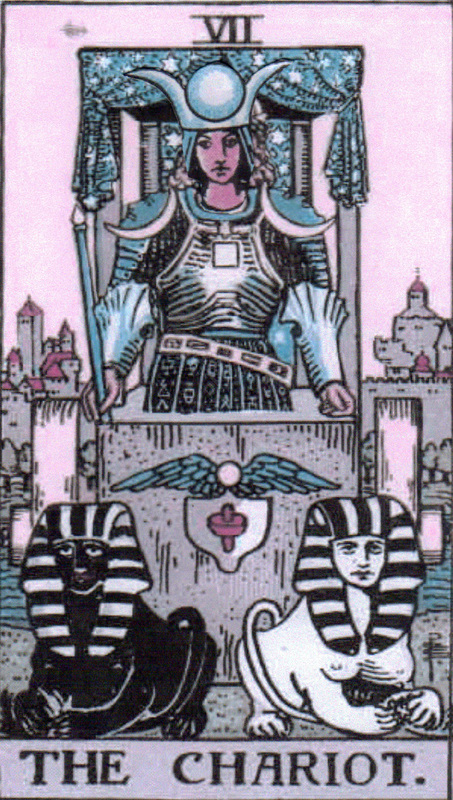 You are currently browsing the Tarot Neptune Transits category at The Tarot Room.